Jorge Alves went from washing Carolina Hurricanes jerseys to wearing one. Last season, when the team’s beloved equipment manager took the ice as an emergency goalie, he didn’t expect his moment of glory to last quite this long. It’s been a bewildering year for Jorge Alves. Last January, Upper Deck made a special hockey card with his picture on it and sold it across North Carolina. In February, by popular demand, the Carolina Hurricanes started selling T-shirts with his name across the back. Jorge was the grand marshal of the Fourth of July parade in his hometown of Stoughton, Massachusetts. (“I don’t even know what I’m doing here, to be honest with ya,” he said, his voice wavering, from the back of a Cadillac convertible.) The Carolina Mudcats baseball team had him serve as their volunteer bullpen catcher for a few days last summer. And some of Jorge’s hockey gear will be on display at the National Museum of the Marine Corps in Quantico, Virginia. He responds dutifully to the fan mail that arrives for him daily, even now, at his home in Knightdale. “I’ve caught myself saying, ‘You don’t want my autograph,’” Jorge says. Even after a year of attention, he’s still not sure how to take it. Jorge is the Hurricanes’ equipment manager. But a year ago, for 7.6 seconds, he was a goalie in the National Hockey League. Jorge’s 7.6 seconds of fame was the result of a fluky alignment of circumstances: a sick goalie, a unique hockey rule, a ticking clock, and a man whose career has been built more on character than on competition. When the Hurricanes were in a pinch, they turned to their only option: a guy who’d given up his NHL ambitions a decade ago. A guy who, at age 37, was in the right place at the right time. A guy they loved. They gave him a shot to realize a lifelong dream. It seemed like an improbable story. But a year later, anyone who’s spent time with Jorge realizes that what happened to him wasn’t improbable at all. 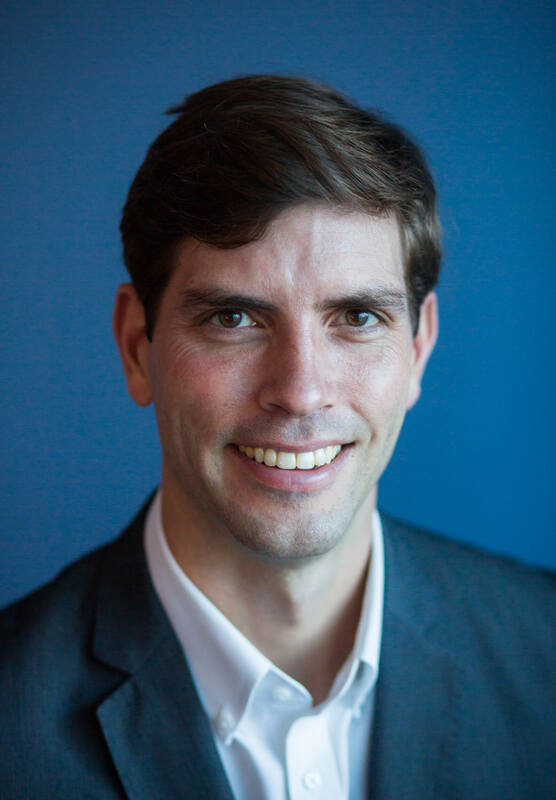 Jorge grew up playing high school hockey outside Boston, but when he arrived at Camp Lejeune in 1997, most people in North Carolina only associated “icing” with cake. He met his wife, Amanda, a Goldsboro native, during his four years with the Marines, and had to explain his hockey obsession that started as a kid, when he’d strap newspapers to his shins and pretend they were goalie pads. Eventually, Amanda understood, and after Jorge left the Corps, she encouraged him to go after his NHL dreams. So, on top of working full-time, Jorge started taking evening classes at North Carolina State University and practicing with the club hockey team, sometimes playing games at midnight. He went on to lead the Wolfpack to a conference championship in 2003. 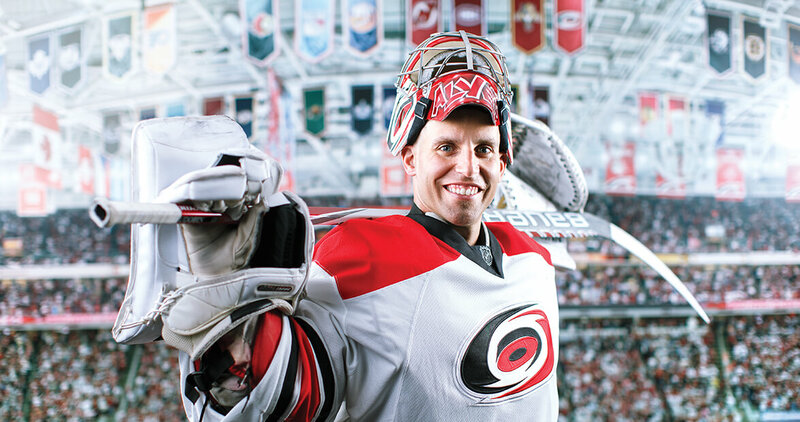 His last season at NC State happened to coincide with the 2004-2005 NHL lockout, and the Carolina Hurricanes were looking for a goalie to fill in during preseason workouts. A guy who’d seen Jorge play called and asked if he’d like to get some ice time with an NHL team. Soon after, Jorge found himself taking practice shots and also working as the team’s part-time equipment manager, even though he didn’t yet know how to sharpen a pair of skates. Jorge’s first minor league tryout didn’t work out, though, and soon he started scanning the NHL injury reports. If a goalie got hurt, that would set roster moves in motion across the minor leagues, which meant that someone, somewhere, might need his services. He’d leave messages with coaches and general managers. Sometimes they’d call back. Hey, can you get in the car and be here tonight? We need a backup. That was the beginning of Jorge’s pro career. In the end, it only totaled a few dozen games for 13 small teams across the South. Mostly, Jorge sat on the bench. The problem was that he hadn’t been drafted, and teams preferred to give playing time to younger players they’d already invested in. He was 5-foot-8, playing in an era when a 6-foot goalie was considered to be short. Still, Jorge always seemed to be nearby and available. He was a solid goalie. And he always picked up the phone. In 2007, Jorge was filling in with the Twin City Cyclones in Winston-Salem when the team asked him to stay on as their equipment manager. With a newborn daughter at home, he put his family before his dream and took the job. During all that time, he kept helping out with the Hurricanes whenever he could, and in return, the team kept letting him skate in practices. “If I ever want to be a pro, I need to be around pros,” was Jorge’s philosophy. When he’s caught up on the official duties of his job, Jorge quietly walks back through the tunnel from the bench into the players’ lounge, where his goalie gear — pads, mask, and skates — is stashed in an out-of-the-way corner. A few minutes later, he glides onto the ice as Ward steps off. He squats into position in front of the net, trying to block shot after shot. Some he can’t see, because a Hurricanes player is standing in front of him. Some he can’t anticipate, because they’re coming in at 90-plus miles per hour, and a deflection off a stick makes the puck change course in the blink of an eye. A lot of shots go into the net. A lot hit Jorge in the worst places. He’s getting beat up out there. “Jorge is a confidence-builder, isn’t he?” jokes a guy watching practice from the stands. He’s right. Jorge will stay late so a player can work out some kinks, or get a few shots in on a live goalie. He’ll take the punishment so that the team’s two rostered goaltenders don’t have to. For 14 years now, Jorge has practiced on and off with these guys because he loves hockey, and because he wants others to get better. He gets no extra money for throwing himself in front of sizzling slap shots. “I don’t have any bruises,” he says after practice, adding, “right now.” The padding doesn’t cover everything. His finger is swollen. He’s been hit in the neck. He’s bled. “The other day, I got my mask knocked off my head from a shot,” he says casually. He makes big windmill-like saves with his glove, not because he’s showing off, but because he’s trying to cushion the shot. “I’m just trying not to break my hand,” he says, smiling. He’s always smiling. Except for that one time when Jorge did have to get ready for a game, thanks to one of the quirkiest rules in sports. Most teams carry two goalies on the roster. If one of them gets hurt or sick, and it’s too close to game time for a minor league substitute to make it to the arena, NHL Rule 5.3 is activated. In those rare instances, a team can find an emergency second goalie, which can be practically anybody. Many times, it’s the team’s goaltender coach. Often, it’s the first guy in town they can find, a goalie who’s played junior hockey or for a club at the local university. In one case, a 51-year-old beer leaguer in Minnesota, who hadn’t started playing goalie until age 37, was summoned by the Minnesota Wild because he was both nearby and available. The stories are fun but inconsequential. In the NHL’s modern era, an emergency goalie had never actually played in a game. Then things got surreal. He did a pregame TV interview: “You are beloved by everybody in this organization, universally and completely,” the interviewer told him. Jorge looked down and smiled. “You’re starting to make me emotional,” he replied, his voice wavering. Just before the game, the players asked him to say a few words. Then, he led the Hurricanes onto the ice for warm-ups. After the opening faceoff, Jorge went back to work: Sharpening skates. Taping sticks. Fixing equipment — all while wearing full goalie gear. As he plugged away, the game slipped away. The Hurricanes were down 3-1 with just seconds to go when play stopped. Jorge was halfway down the tunnel between the bench and the locker room, trying to get a head start on packing up gear so that the team could fly home to Raleigh that night. That’s when he heard the coach call his name, and Jorge noticed something odd: Cam Ward was on the bench, instead of in the net. Get in the game, the coach said. Jorge’s debut, the shortest by a goalie in NHL history, led to at least one strange complication. In April, organizers of an amateur hockey tournament in Florida told Jorge he was ineligible to play because he’d been on the Hurricanes roster that season. “Buddy, I played seven seconds,” Jorge replied. Eventually, they relented. Jorge’s brief, shining moment has generated plenty of trivia, too. At 37, he was one of the oldest players to make an NHL debut. He’s also the only player from the minor league Fayetteville FireAntz to ever appear in an NHL game, despite the fact that he was only a backup in a handful of games and never actually played for the FireAntz. Jorge now holds the record for the shortest career in NHL history. Months after he played, the league clarified Rule 5.3, stating that emergency goalies have to be amateurs who don’t work for an NHL team. “I guess I’m retired,” he says. Those seven seconds have inspired a generation of beer leaguers. Indeed, a news story about two NHL teams holding emergency goalie tryouts led with this: “Perhaps you can be the next Jorge Alves.” His bigger legacy is ongoing. Other teams are now looking to bring in their own seasoned practice goalies to let players shoot, giving their regular goaltenders some much-needed rest. They’re looking, in essence, for a Jorge. The praise has been disorienting, Jorge says. At times, it feels like he’s having an out-of-body experience, akin to listening to people talk about him at his own funeral. It hasn’t boosted his ego. “It’s humbling,” he says. “It makes me feel like, ‘Oh crap, do I need to live up to this expectation?’” The hours are already long. The travel is grueling. Slap shots hurt more every year. Strangely, the outpouring of support has made one of the hardest-working guys on the team feel like he has to work even harder. And yet, when he has a free night, he’ll play goalie at a small ice rink in Raleigh. He wears a plain white face mask now, because the one he wore in Tampa — with caricatures of his fellow equipment managers he’d painted on it himself — was too conspicuous, and he’d rather not draw attention to himself. “Typical goalie,” says Mike Tefft, a friend and recreational league player, who also jokes that he’s now scored on an NHL goaltender. There are now rec leagues all around town, and from time to time, a team’s regular goalie can’t make it. If the Hurricanes are in town and aren’t playing that night, team captains always know they can give Jorge a call. He isn’t always nearby or available like he used to be. But he always answers the phone.